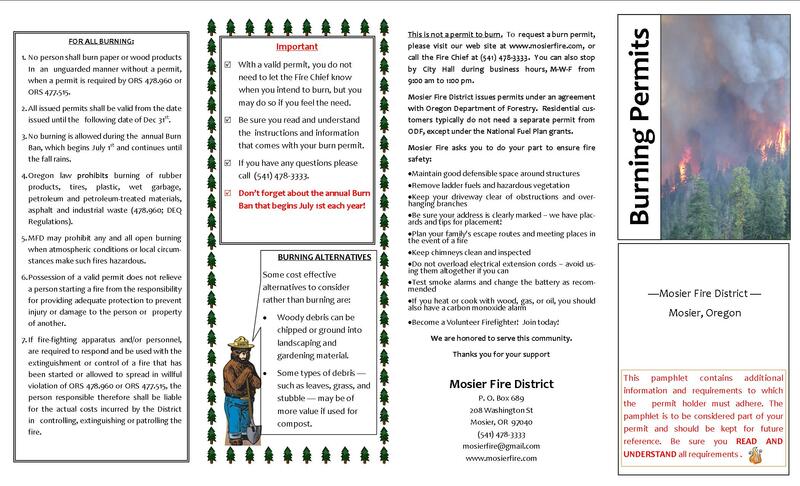 As of January 1, 2018 all residential burn permits in the Mosier Fire District and the Mosier City Limits will be issued by the Fire Chief or representative for the Fire Chief. 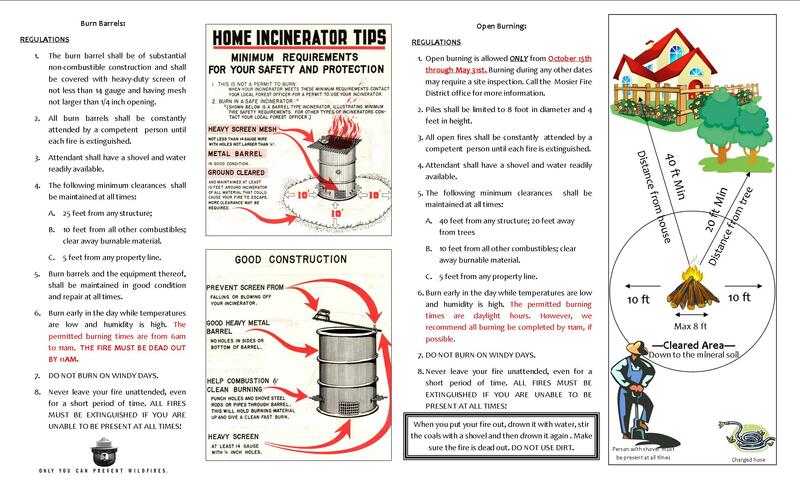 Please call the Fire District at 541-478-3333 for further information, or to request a permit. Burn permits are valid through the calendar year. There is no fee.